This cognitive bias makes you think your top stocks are always undervalued. Here's how to resist. We all love to pick favourites. There’s probably one stock in your portfolio that, deep in your heart, you know you’ve become a little too attached to. I don’t know the particulars of your esteemed stock and, for all I know, it’s still a great investment. This is not an article recommending that you sell your best performers. However, there is a cognitive bias working in the shadows that means you almost certainly think that stock is worth more than it actually is. Many psychological biases encourage us to overvalue stocks, such as confirmation bias, consistency bias, herd mentality, or a fear of missing out. But none more so than the often-overlooked ‘endowment effect’. Imagine you’re on holiday with a group of friends and, as you wait in the hotel lobby, someone hands each of you either a mug or a pen at random. You’re then offered the chance to trade your item for the alternative. What do you think would happen? If we were entirely rational, you might expect that there’d be some trading as people swapped for their preferred item. The odds of everyone getting their preference first go is practically zilch. Researchers conducted an experiment like this, however, and – bizarrely – no one wanted to trade. Furthermore, when asked how much the mugs and pens were worth, those participants who received mugs thought mugs were twice as valuable compared to those who received pens, and vice versa. This experiment demonstrates the endowment effect – our tendency to think things we already own are worth more than everyone else think’s they're worth. This effect is exploited by infomercials offering a ‘100% money back guarantee’ – as soon as you have that Abtronic 2000 in your possession, you’ll start to feel it’s worth more than your initial outlay and so be reluctant to swap back. Salespeople know that once the product is in your hands, you’ll value it more. The same goes for shares. Once a stock is in our possession it becomes ‘our’ stock and we perceive it as special. The endowment effect doesn’t guarantee that your top stocks are overvalued – there’s no substitute for proper research and valuation – but it does mean that you will usually feel your favourite stocks are more valuable than the current market price. There’ll always be this soft voice telling you to hold on a little longer – especially if you’ve owned the stock for a long time and it has done particularly well for you. To combat the endowment effect: (1) Consider the counter-arguments to your investment case. Why would someone be selling at today’s price? (2) Set the valuation criteria you require to sell a stock before you buy it, and (3) Come to your portfolio periodically and pretend you have 100% cash, then ask yourself whether this is the set of stocks, at these weightings, you would want if you had to buy everything from scratch at current prices. 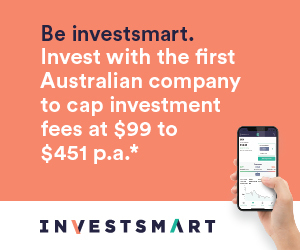 Our Intelligent Investor Equity Income Portfolio is now available as a listed fund trading under ASX code: INIF. Holdings in the fund will mirror our current Equity Income Portfolio and have the same low costs, but you’ll be able to buy it on the ASX. You can save yourself the broking commission by applying during the initial offer, which closes on Friday, 8 June, 2018.